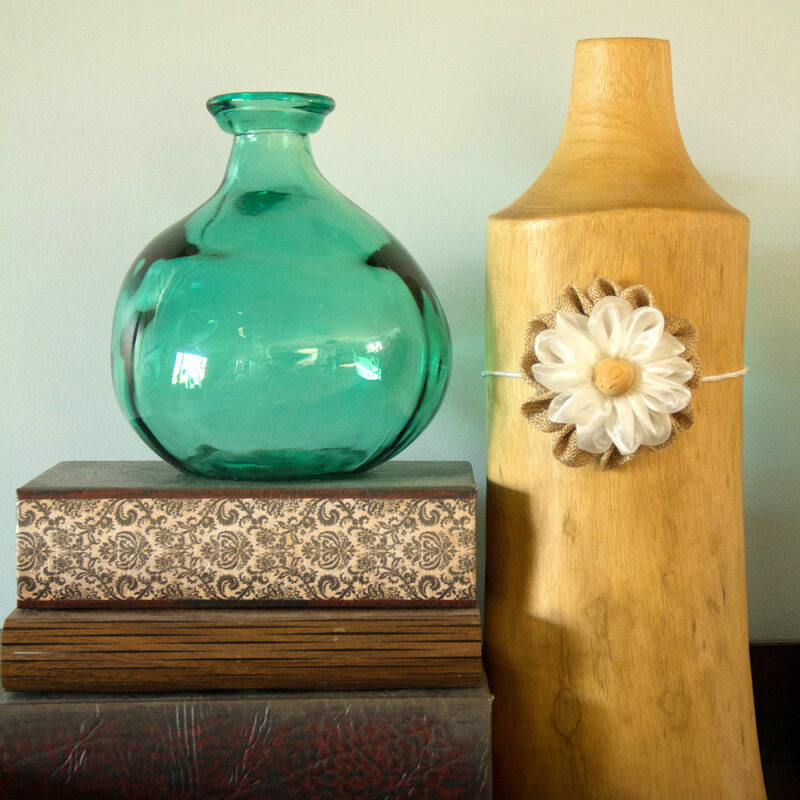 It’s so easy to add a little rustic charm to your home decor or next project with these burlap accents. 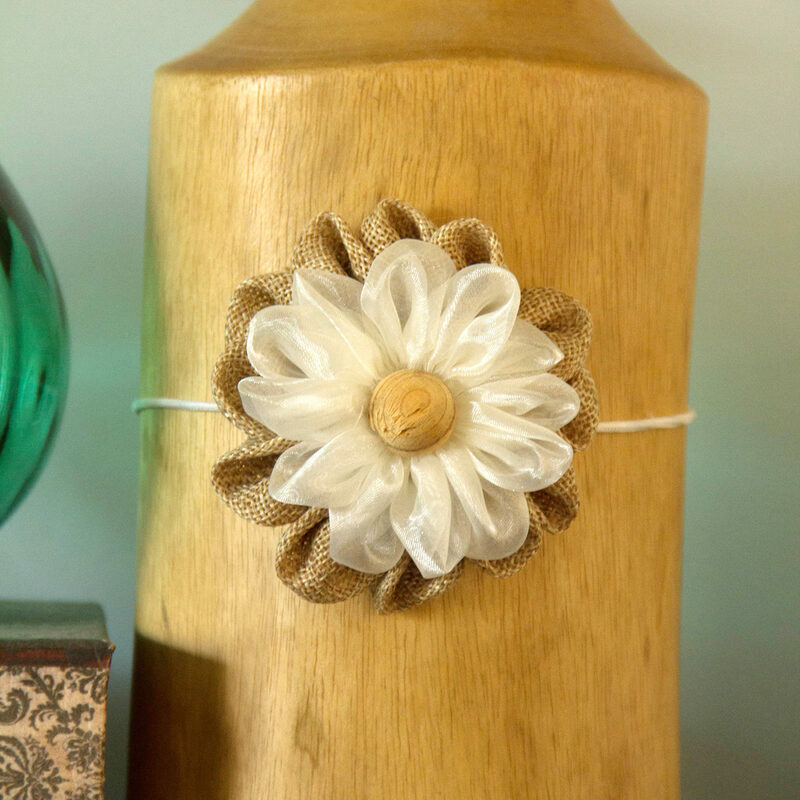 Today we are featuring a sweet Burlap Flower attached to an elastic band. 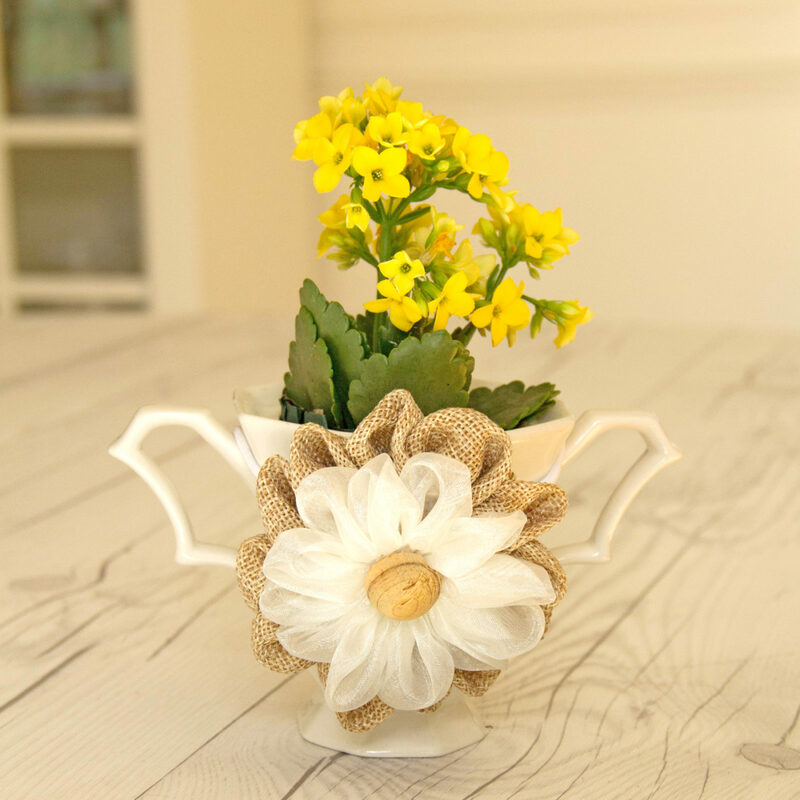 The band allows you to take the flower and easily attach it to a vase or a flower pot. 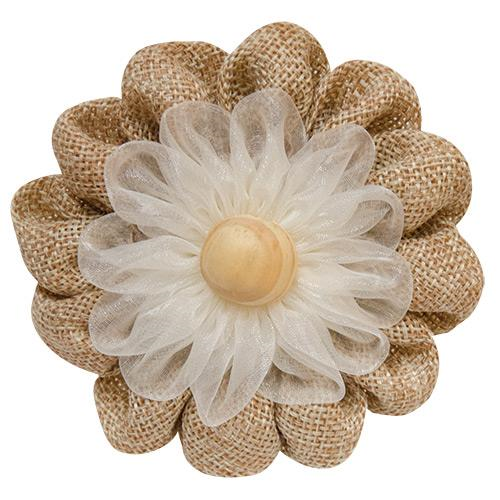 You could even use this as a hair accessory. 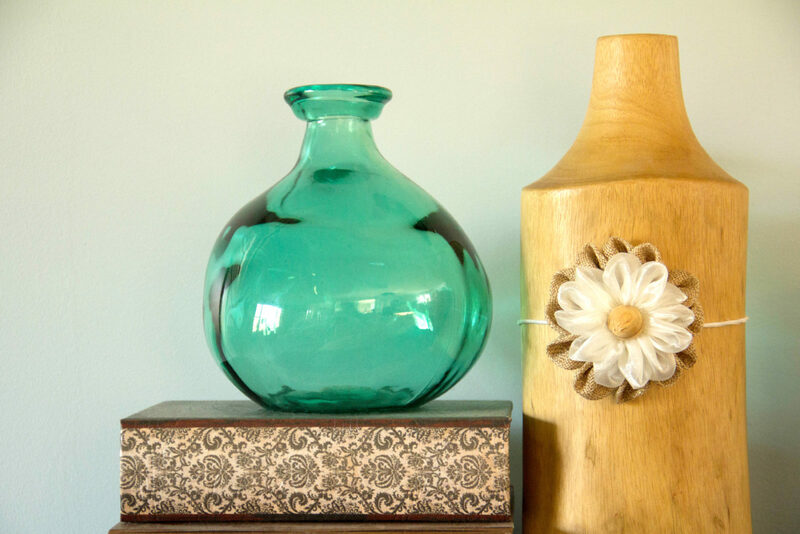 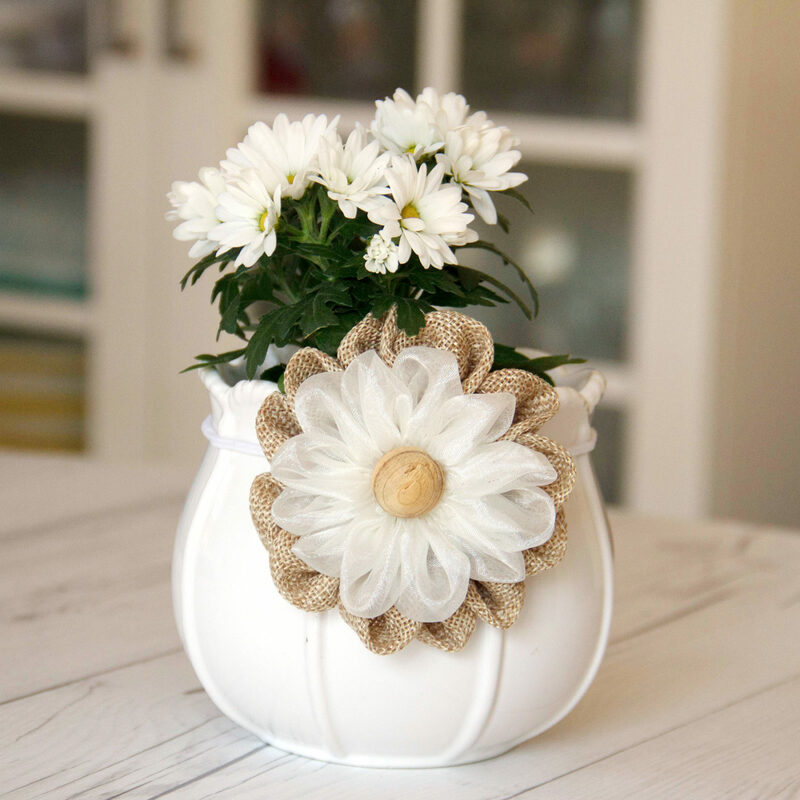 We attached the Burlap flower to a few different vases and pots to show the versatility and diverse looks you can achieve with this one product. 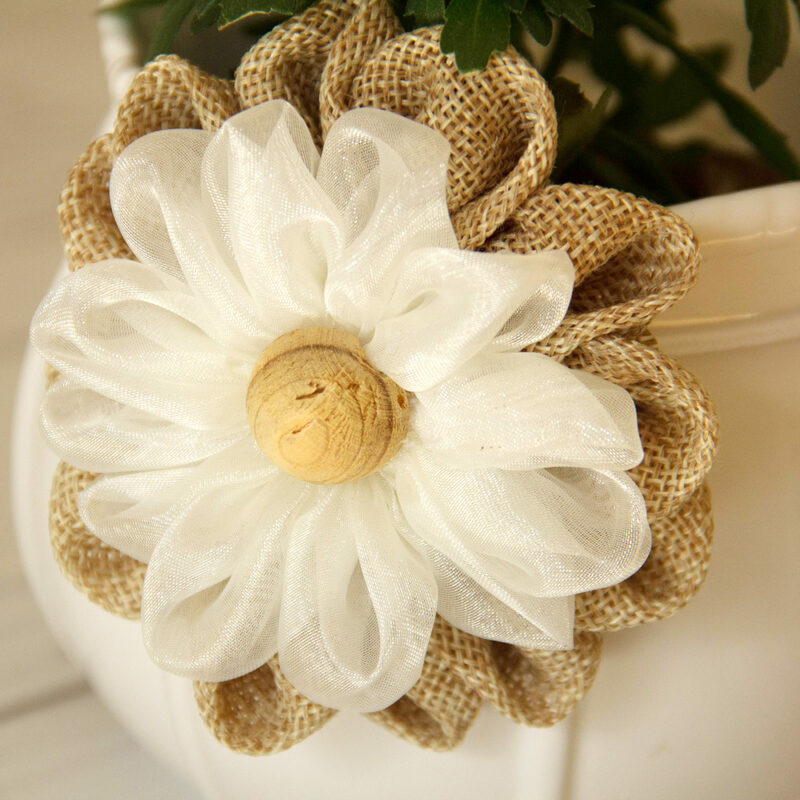 4″ wide elastic band accented with a flower made of Burlap. 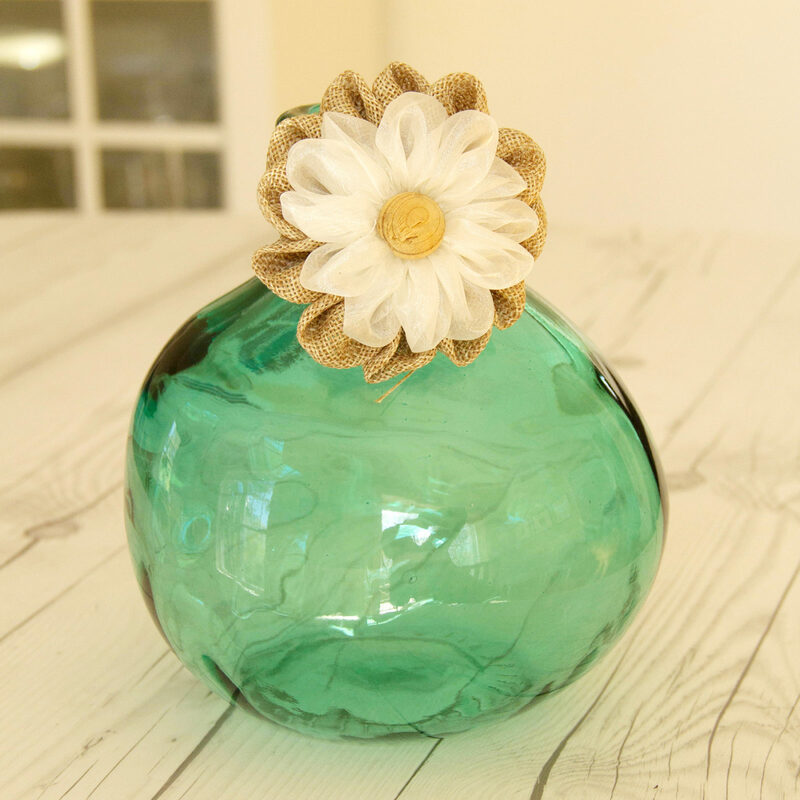 Excellent to wrap the top of a mason jar or any cylinder shaped object. 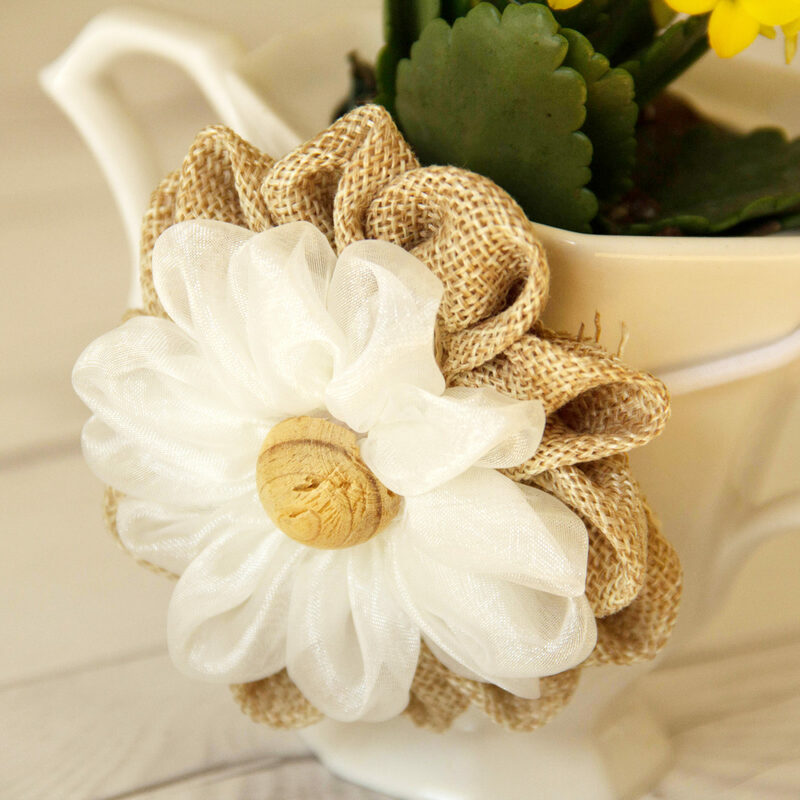 Perfect for dressing up a gift. 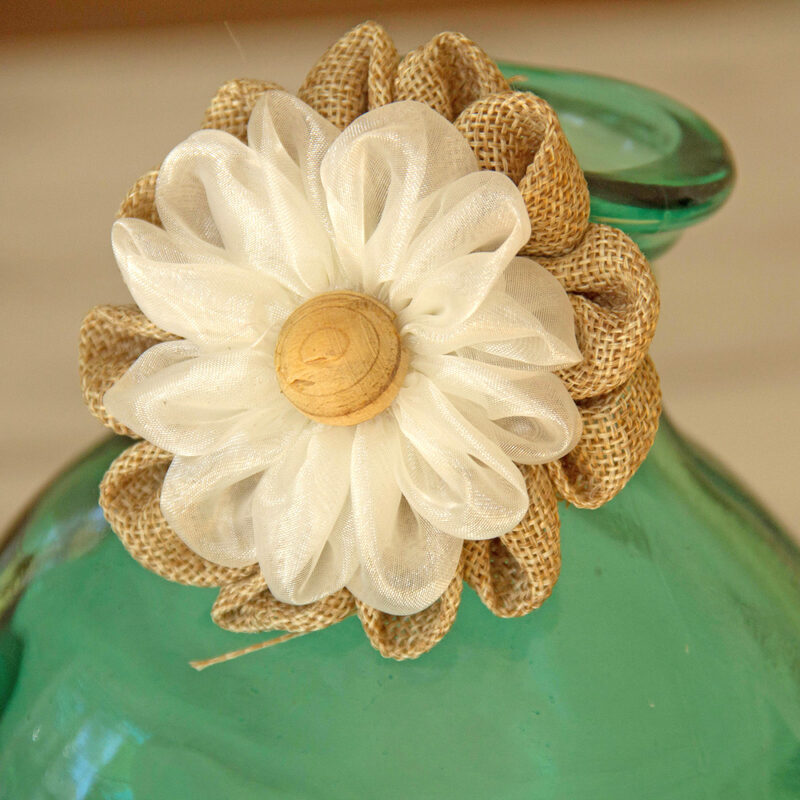 This entry was posted in Home Decor and tagged Accent, burlap, Burlap Flower, Home Decor.